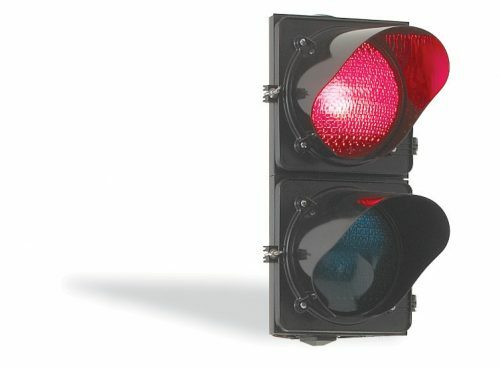 Warning signs and traffic signals are used with traffic control spikes and auto-spikes to inform drivers that a one-way lane condition exists and that proceeding in the wrong direction, or before the spikes are fully retracted will result in severe tire damage. Automatic rising bollards are intended for controlling access to a site, while protecting it from any attempt at intrusion. In the raised position, these retractable bollards close a road to vehicles, without restricting access by pedestrians. In the lowered position, they are hidden, allowing access to vehicles. The applications are varied: access to pedestrian paths, entrances to sites, protection of public or private buildings.